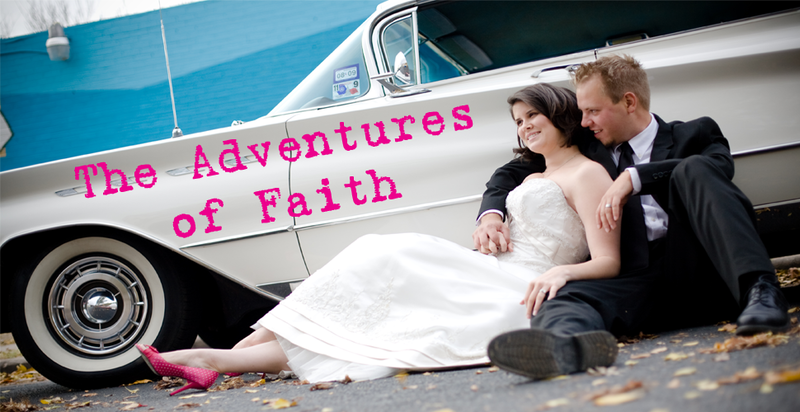 The Adventures of Faith: What's That you ask? That would be a sign I'm a bad wife. 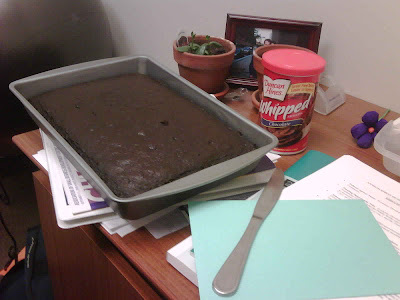 That pictures says, I did not have time to bake my husband a birthday cake until this morning so it is currently cooling on my desk at work and yes, I brought a knife and frosting to finish it off. Oh, and that's his unwritten card sitting under the knife. At least I remembered the card right?